The author of a shelved report into abuse at children's homes in the 1970s and 1980s said public figures were not among names given by victims. John Jillings said he did not recall allegations that children were taken from north Wales homes and abused. One victim said an independent inquiry commissioned by Clwyd County Council, on which the report was based, would have been told of such abuse claims. Steve Messham criticised Mr Jillings' recollection about the names given. The home secretary has launched a new police inquiry into the abuse allegations. 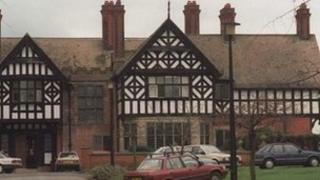 North Wales Police investigated abuse claims in 1991, and seven former care workers were convicted. But as more claims of widespread abuse in almost 40 homes emerged, Clwyd County Council commissioned Mr Jillings in March 1994 to look into the issue. However, his report was never published because of legal concerns. When asked what names emerged from the victims, Mr Jillings told BBC4's World At One: "I'd rather not get involved in listing names because it's a long time behind me, they didn't include well-known people in public life." "The people the investigation focussed on, because these were the people that the children spoke to us about, were staff members." Claims of alleged abuse were highlighted last week when Mr Messham said the subsequent government-commissioned Waterhouse inquiry had uncovered only a fraction of the abuse. "In the home it was the standard abuse which was violent and sexual. Outside it was like you were sold," he told BBC Newsnight, and detailed being tied down and raped in a hotel room. In an interview with BBC reporter Sima Kotecha, Mr Jillings was asked if he remembered Mr Messham's allegations. "I don't recall it, no. My memory may be fading but I don't remember that was one of the issues he raised with us. I can remember very, very serious allegations of abuse by staff members," he said. He was also asked whether he had heard claims by one of the victims of abuse by a leading Thatcher-era Conservative politician who is still alive. "Not to the best of my knowledge. I'm sure that would have lodged in my mind and we would have wanted to investigate it had we known about it." Media captionSteven Messham: "I have never hidden the facts of who abused me"
Mr Messham said he could not remember what he had said to the inquiry but he would have been referring to copies of his police statements in which he had always been "crystal clear" about who abused him. "If I was certainly in front of an inquiry I would have mentioned the hotels, I would have mentioned these people," he said. "To say that people outside the homes weren't named, that is completely wrong as well. He [Mr Jillings] says however, and credit to him in this way, 'well my remit was to investigate the staff in the homes'. "Well, yes, OK, that was his remit but to say he wasn't told of any abuse that took place outside the homes, to say he wouldn't be told about the hotel in Wrexham, I think is appalling." Mr Jillings said he was led to believe the report was not published because the county council's insurers felt it could result in individual children suing for compensation in a way that could have been costly. "We were very frustrated, we were concerned on behalf of the children, we felt that we had wasted an enormous amount of time and effort and not to be able to publish the report was totally unacceptable," he said. Municipal Mutual Insurance said that based upon legal advice it considered the report prepared by Mr Jillings had not been suitable for publication. A spokesman said: "The Waterhouse tribunal commented in its report entitled Lost in Care, that it was almost inevitable that there would be allegations of a 'cover up' by Clwyd. However, the tribunal accepted these allegations were unjustified." Mr Jillings said some of the victims may have deliberately not mentioned well-known people when being questioned because they were frightened of the repercussions. Jane Tunstill, who also worked on the report, told the BBC she did not remember any of the victims talking about politicians. Earlier, the Conservative Party said it would ensure there was a full investigation into claims one of Thatcher's aides was involved in child abuse. On Tuesday, Channel 4 News broadcast an allegation from an unnamed former resident of Bryn Estyn that he had seen the late Sir Peter Morrison - a former close aide to Mrs Thatcher - visit the care home on several occasions in the 1980s and drive away with one of the boys living there. Sir Peter, who was MP for Chester from 1974 to 1992, died in 1995. Meanwhile, the children's commissioner for Wales, Keith Towler, said his office had received 38 calls since Mr Messham spoke out, some from people who "wanted to make fresh allegations" of abuse.